KAMPALA – Former Forum for Democratic Change president Maj Gen (Rtd) Mugisha Muntu, has said the statement announcing that he had quit the party was issued prematurely and through the wrong channels. In a brief encounter with journalists on his way out of Fairway Hotel in Kampala after meeting his successor Patrick Amuriat on Tuesday afternoon, Gen Muntu said his communications team erred by sending the statement. He also apologized to Amuriat and said he would release an official one on his social media platforms shortly. “I apologise to the party president Hon Patrick Amuriat for the statement released carelessly by my communications team. I also apologise for the comments made by Hon Bihande. 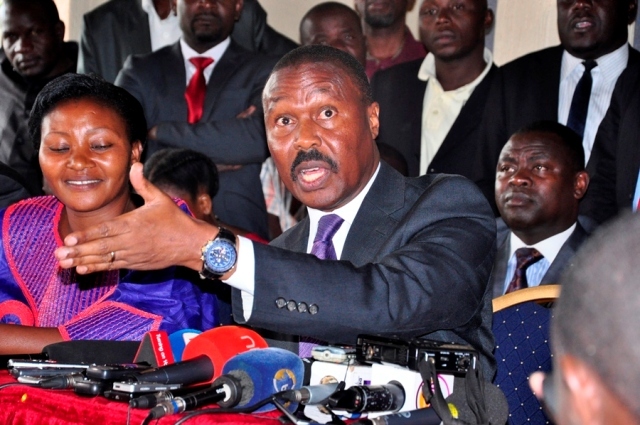 I am the leader and I have to apologise for that sincerely,” Gen Muntu said. In a statement earlier issued on Facebook, Gen Muntu revealed that he took the decision after eight months of country-wide consultations that started in January this year.